Tucked away just off West Street is one of Brighton’s best restaurants which has got an incredible reputation for unique ideas, exceptional service and sensational steaks, the Coal Shed. I have had the luck of frequenting The Coal Shed many a time, and in fact my first ever Restaurants Brighton review was all about the Coal Shed. So when I was invited back I absolutely snapped at the chance. The atmosphere is cosy and casual with a New York style sophistication and the big bar and bright windows invite dinners in day and night. When we arrived for lunch we were greeted by the friendly host who was also the manager and seated right away with menus to look over. Our waiter soon followed and explained the set menu as well as the Coal Shed meat menu hanging on the wall. 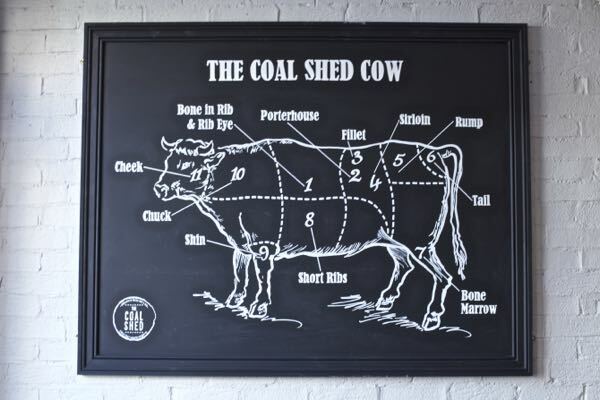 For those of you who don’t know, the Coal Shed is famous for their sharing cuts where you can order a whole cut of Chateaubriand, porterhouse, or prime rib to be brought to the table and shared amongst friends. I did this for my first review and I have to say it was outstanding! However that was going to be a bit much for a lunch time birthday treat for my husband and I, so we decided to go for the lunch set menu, which would hopefully not put us into too much of a food coma. I’m not quite sure how long the Coal Shed has been doing the set lunch menu, but I am so pleased that we found it. I love a set menu because I see it as the chef’s way of telling me what his personal favourites are, and when you are picking from a list of favourites you pretty much can’t go wrong. The menu is succinct but satisfying, and even though it is known for its perfectly grilled steaks, the Coal Shed takes equal pride in their fish and vegetarian dishes, so absolutely every dish sounds divine. 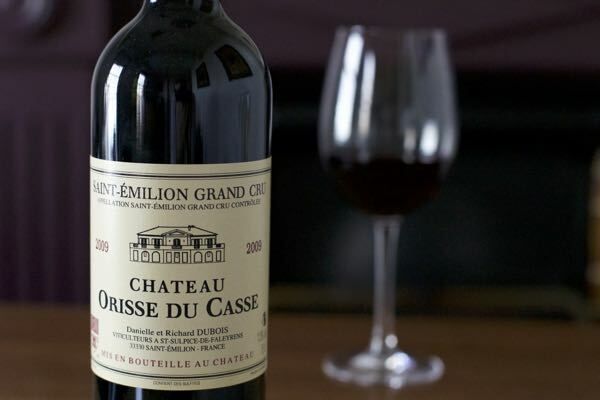 The drinks menu is one of the best in Brighton as well, with some of my favorite wines from around the world including a few from my home state California. They also have a decadent Cellar Selection which has a bit more age, and a wide range of spirits and whiskeys to choose from. As a birthday treat my husband ordered the Japanese Hibiki whiskey, which he loves, and it smelled incredible. For our first course we decided to share the salmon tartar and the salt beef. 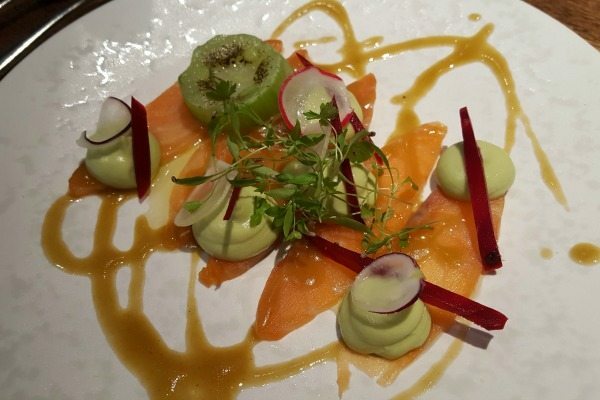 The salmon was sashimi quality and served with thin slices of beetroot, torched pickled cucumber and velvety avocado mousse. The base of the dish was subtle and delicate, and then it was drizzled with a honey soy sauce that brightened the plate and gave it a fantastic zing. I loved it, the perfect light starter for a three course lunch. 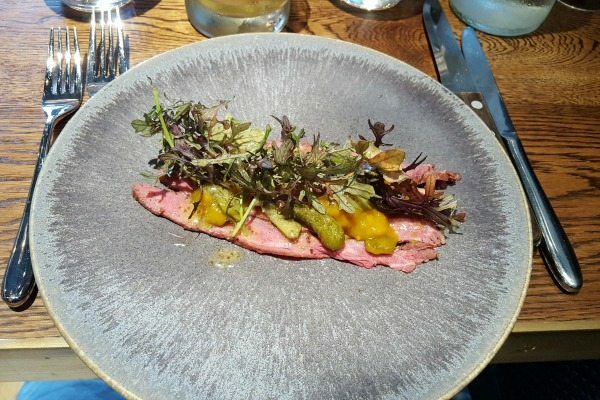 The salt beef was so tender and full of flavour that it could have been left on its own, but the salty sweet piccalilli was the perfect accoutrement. A classic flavour combination that has been spruced up and given a sophisticated look, it really was outstanding. After a short break our mains arrived, and they looked excellent. My husband enjoys a great steak but for him the allure of the Moroccan beef short rib was too much. Served on a fluffy pile of lemon cous cous, and dotted with sweet pomegranate the richly spiced meat took us back to the Jemaa el-fna in Marrakech. 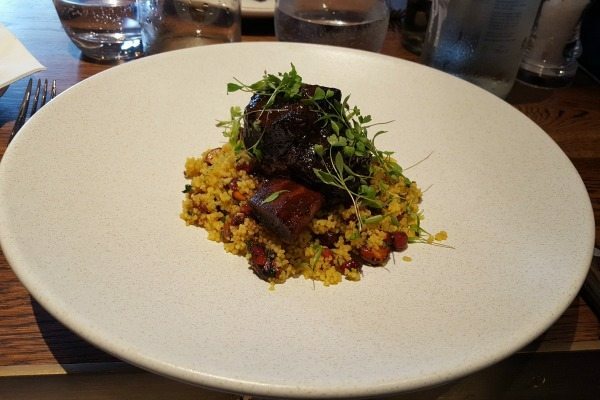 The short rib was rich and gamey, more reminiscent of lamb than beef and the lemon and pomegranate lightened the dish making it perfect for lunch. 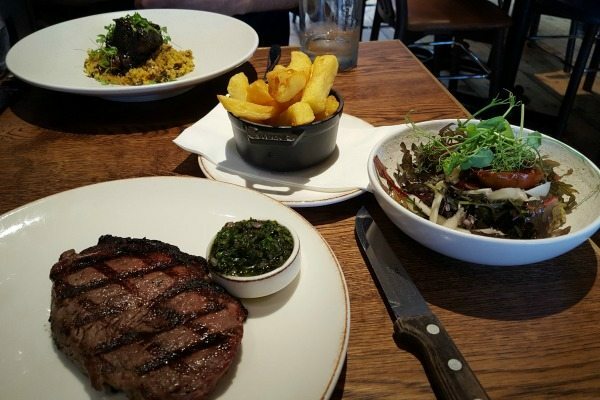 I ordered the classic 200g Sirloin, cooked Medium Rare, served with salad and beef dripping fries. One of my favorite things about a beautiful steak restaurant is the simplicity of a perfectly cooked steak. It doesn’t need a song and dance or an ornate presentation, because it is the confident rockstar of food. A line-charred steak can sit alone on a plate and still demand all the attention. This particular rockstar was served with a pot of homemade chimichurri, and was rested for the ideal amount of time, as not a single savoury drop spilled out of the medium rare meat, exquisite (The only thing that would have made it better would have been a bottle of the Bogle red Zinfandel from California that was staring at me from the wine list, but as I am 35 weeks pregnant that particular indulgence will just have to wait). For our third and final course we were both in the mood for something sweet and we apparently chose desserts based on our personalities. Hubby ordered a simple bowl filled with homemade lychee sorbet, vanilla ice cream, and honeycomb gelato; cleansing, sweet and satisfying. It may not have sparklers jumping out of it, but it’s not needed when the flavours and textures are spot on. I on the other hand went for the bells and whistles. 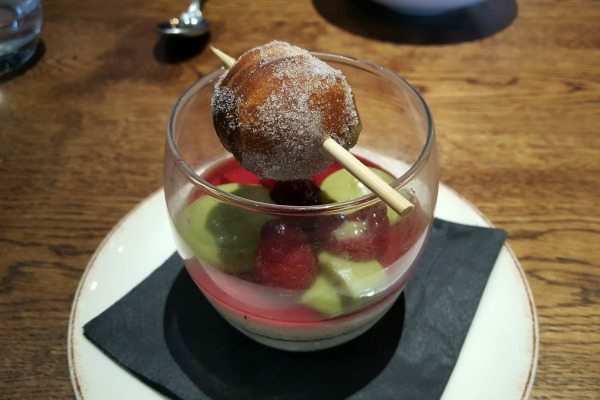 My dessert was a homemade sugared donut hole filled with pistachio creme dangling above vanilla ice cream and raspberry coulis. The flamboyant peacock to his demure dove, both absolutely delicious and the perfect finish to a wonderful meal. To say I recommend the Coal Shed is a total understatement. 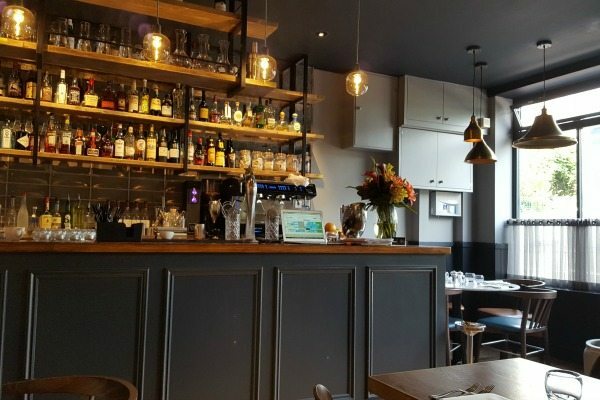 In my opinion if you are looking for a flawless and comfortable restaurant that is ideal for a casual lunch or a decadent fine dining treat you could not possibly go wrong here. I not only recommend the Coal Shed, but I insist upon it if you are a food lover in Brighton and crave an outstanding dining experience.